Publication of the new GCSE-level performance indicator has a marked impact on the official list of the "most improved" schools in England. An annual list, of about 100 state schools, is produced by the Department for Education and Skills to accompany the school tables. It shows the proportion of students getting at least five GCSEs or equivalent qualifications at grades A*-C for the previous four years, and the overall rise. Schools have to have improved (or at least have done no worse) each year. There were 104 schools in the original 2004 list. We have reconstructed it below, comparing this performance with the new benchmark, which requires students to have obtained English and maths GCSEs. The biggest impact is on one of the best-known schools: Sir John Cass Foundation and Redcoat Church of England Secondary School in Tower Hamlets, east London. When the 2004 tables were published last January, the then School Standards Minister Stephen Twigg congratulated Sir John Cass, and The North School in Kent, for being "the most improved schools between 2001 and 2004". Both schools are still in the top 100 or so which have improved the most, year on year, on the new measure - but Sir John Cass's performance drops from 87% to 27%. Its head teacher, Haydn Evans, said performance had risen substantially following the introduction of GNVQ vocational courses, but any initiative focusing a school's energies and resources would have a similar outcome. "There is the more cynical and naïve view that GNVQ is easier and, because it is possible to take as many as the equivalent of four GCSEs, it inflates a school's performance." 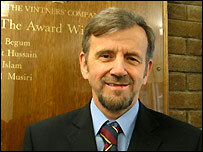 He added: "The new measures for league tables are relevant in this respect for they too will become a strategic focus at Sir John Cass and we look forward to the time, not far off, when numeracy and literacy become the driving force behind our success and high performance but not at the cost of the inclusive effects of the vocational programme within our school." Many of those that were on the "most improved" list no longer feature in a revised version. And five of them actually got worse over the four years on the new benchmark of English and maths: their pupils did better in 2001 than in 2004. They include Sandwich Technology School in Kent, whose head teacher was named secondary head of the year in the annual Teaching Awards. Its results had risen on the old benchmark from 34% in 2001 to 64% in 2004. But the new figures show that last year only 20% of its students managed to get five good GCSEs including English and maths - compared with 23% in 2001. Instead there are new stars which did not feature in the old table: the "most improved" school being St Benedict's Catholic High School, a secondary modern in Alcester, Warwickshire. It went from 46% to 76% attaining the new benchmark, a rise of 30 percentage points. On the old measure it had 88%. It was closely followed by Dunraven School in Lambeth, up from 32% to 61%, a rise of 29 points. It had 66% on the old measure. The figures in the table below show each school's rise in percentage points from 2001 to 2004 on the OLD measure - not including maths and English. The NEW column shows how much their results changed on the new measure - not necessarily in the same consistent way, but to illustrate the difference between the two measures, which is shown in the final column. A minus figure in the NEW column means performance in English and maths worsened between 2001 and 2004. Click the name of a school for a page detailing its results. SCHOOL, LEA OLD NEW diff.